What was to follow was one of the most extraordinary gigs I’ve witnessed in twenty years of reviewing and photographing live shows. Marling opened with ‘Wild Fire’ from her latest album. It’s sung in a gentle yank accent which suits a country tinged tune that reminds me of a song by Lou Reed. It’s a slow-paced song that quickens during the choruses and possesses truck loads of melody. 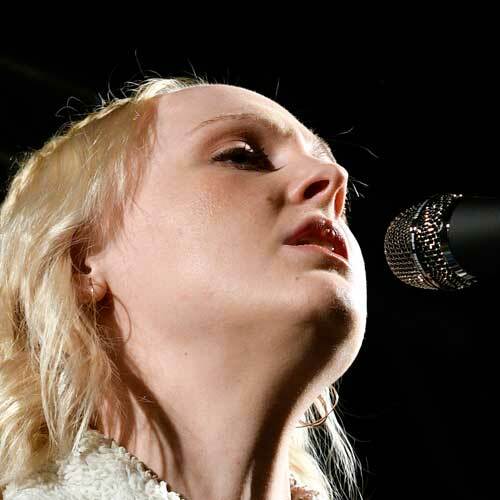 Marling looks upwards while singing in the smoothest, easiest manner one can imagine. Hell, I’m impressed! But not only with her delivery but by her guitar-playing. Next is another new song. ‘Nothing, Not Nearly’ is another slice of Americana and I’m reminded by how good the new album is. This has another huge melody and is an object lesson in how to accompany oneself on guitar. 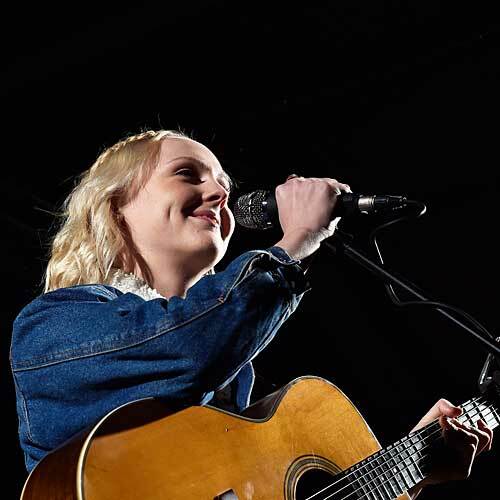 Her voice is immaculate and distinctive as it seamlessly and fluidly changes key. Her setlist was also brave in that the opening salvo was made up of brand new songs including the next one, ‘Nouel’. It’s one of my favourites off the new album and is wondrously beautiful. Marling’s voice by this point is nicely warmed up and gorgeous. Her first guitar change arrives with the first of her older songs. This one’s called ‘Goodbye England (Covered In Snow)’ from 2010 and with it comes the loudest acclaim so far from an audience that is as transfixed as I am. The guitar sounds mellower; more bass tuned. Then it’s back to today with ”Next Time’ with an upbeat song that rolls along and I’m wondering what award nominations the lady will garner with this great album. Another new song, ‘The Valley’, arrives with arguably one of her most expressive performances of the night. 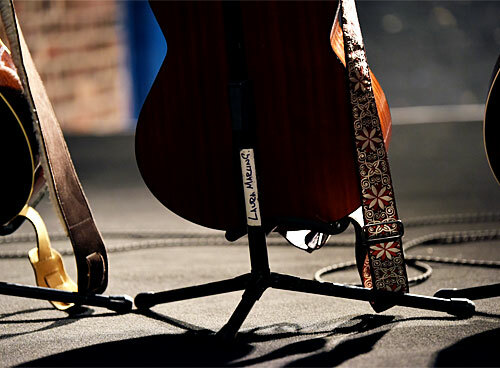 The song has a sort of ghostly, ethereal presence with her guitar which gently sings alongside that heavenly voice. Then another change of guitar with an even lower bass tone. It’s this song or the next that possesses a guitar riff chorus that reminds me of Pink Floyd’s 1971 ‘Fearless’ (from MEDDLE). It’s by far the longest song of the night and my highlight of the evening. It’s an epic song where the harmonisation of guitar and voice is perfect and very dramatic [I subsequently discovered that this was a suite of opening songs from the ONCE I WAS AN EAGLE album from 2013]. The setlist is perfect as it the trawls through the best of her back-catalogue with a couple more guitar changes. 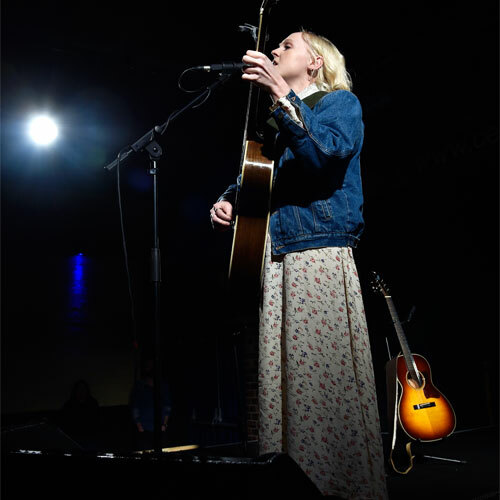 Marling doesn’t talk much but does thank the audience for turning up and later explains the song ‘Daisy’ which is about a single mother who’s also a prostitute. She also advises the crowd that she doesn’t do encores and finishes on her favourite composition from 2010 called ‘Rambling Man’. This was an understated performance, where occasionally Marling seemed detached and distant. But it was one of the finest and bravest performances I’ve witnessed in many years. It was an object lesson in self-awareness, concentration, songwriting, singing and guitar playing. 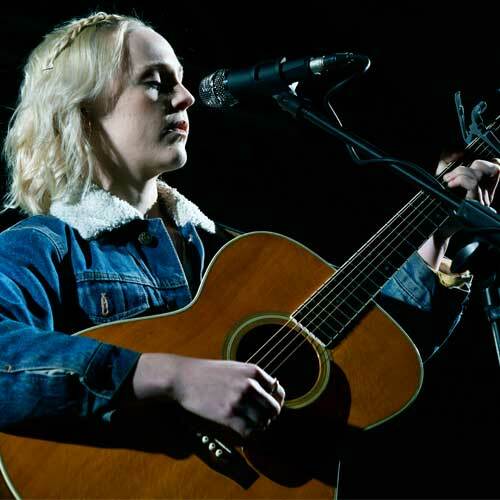 Marling is very special with a beautiful, mature, distinctive voice, and this show nothing less than a memorable masterpiece.